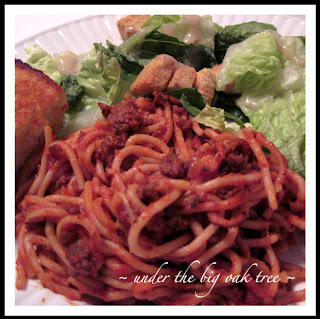 Growing up, I always enjoyed leftover spaghetti night. I remember my mom mixing the leftover pasta and meat sauce together before putting it in the refrigerator the night before. The next night, either she or dad would get out our biggest frying pan and dump in the leftover pasta and sauce. They would then just heat and stir until it was heated through. This is a great way to serve the leftovers if you don't have quite enough leftover sauce for each person to ladle over their individual plates of pasta. The pasta will absorb some of the sauce overnight, so you will want to be sure to mix the sauce and spaghetti before storing it overnight. 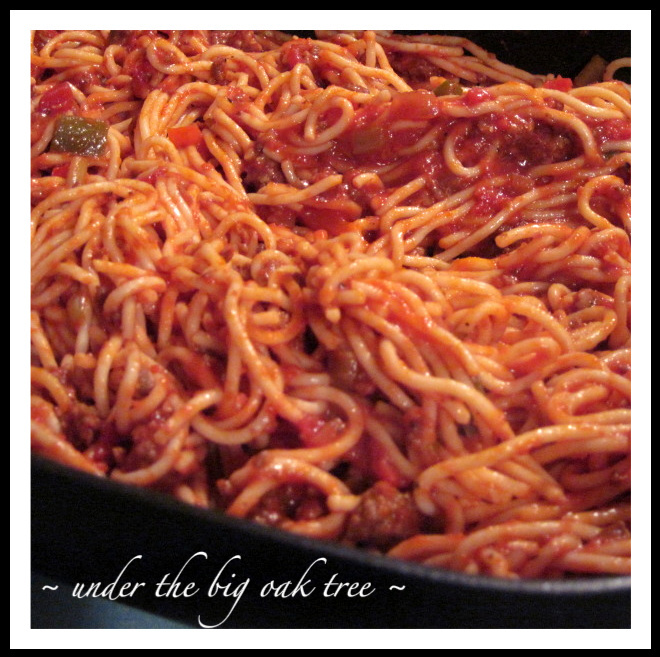 I never heard of anyone else frying their leftover spaghetti until I met my husband. He also reheated his leftover spaghetti and sauce in a frying pan. Only difference, he melts butter in the pan before adding the pasta and sauce combination. I tend to cook it a little bit on the long side too, I like it when the pasta gets slightly crispy around the edges of the pan. I like to serve this with salad and bread for a quick and easy meal. It's frugal too, since we aren't wasting our leftovers! Some leftovers are "forgotten" in the back of the fridge only to be found later resembling some strange science project! Not this! This is one leftover meal that we actually look forward to eating either the next day or later in the week! Wordless Wednesday ~ Snow Day!